A good breakfast is the best way to start your day! Our buffet features lots of delicious and organic produce. How about a fresh waffle or an omelette made to order? There's something here for everyone! Breakfast times vary during the summer months and on bank holiday weekends. Please contact the hotel for current opening hours. We have a large parking outside our hotel with space for 500 cars. We offer our guests free parking. Pets are also welcome to stay with us. 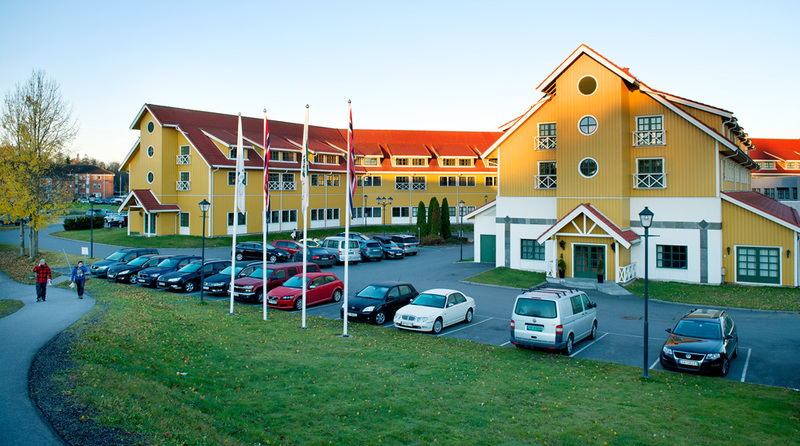 We have 23 pet-friendly rooms which can be booked at a cost of NOK 250 per visit. Guide dogs stay free of charge on presentation of identification issued by NAV in Norway, or the Swedish Association of the Visually Impaired in Sweden. Velvet SPA is located in Superland, and offers over 100 different treatments from an exciting and varied treatment menu, where the focus is all on results and your experience. Keep in shape in our modern gym, Family Sports Club, which is equipped with lots of exercise machines. Our guests can exercise at the discounted price of NOK 75 per day. You can register and pay in our private reception. If you have a Nordic Choice Club platinum card, you can use the gym for free. All our hotel rooms and public areas have free WiFi. Drop by reception for the access code. You can also log in easily with your Nordic Choice Club membership number. If you haven't brought your computer or tablet with you, then you can always borrow our computer in the lobby. It's right next to the lift.